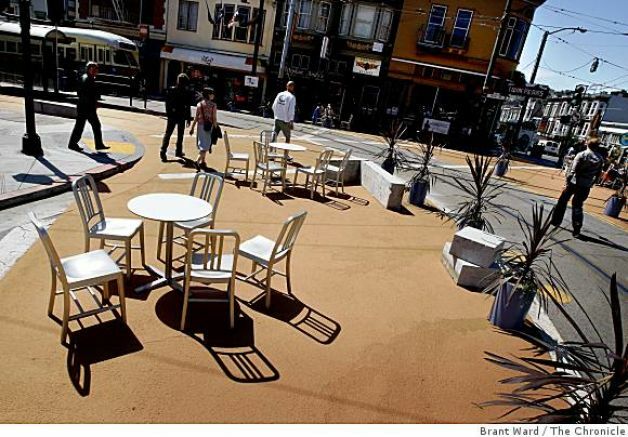 We took the F-Line down to the Castro District, which is located at the upper end of Market Street. 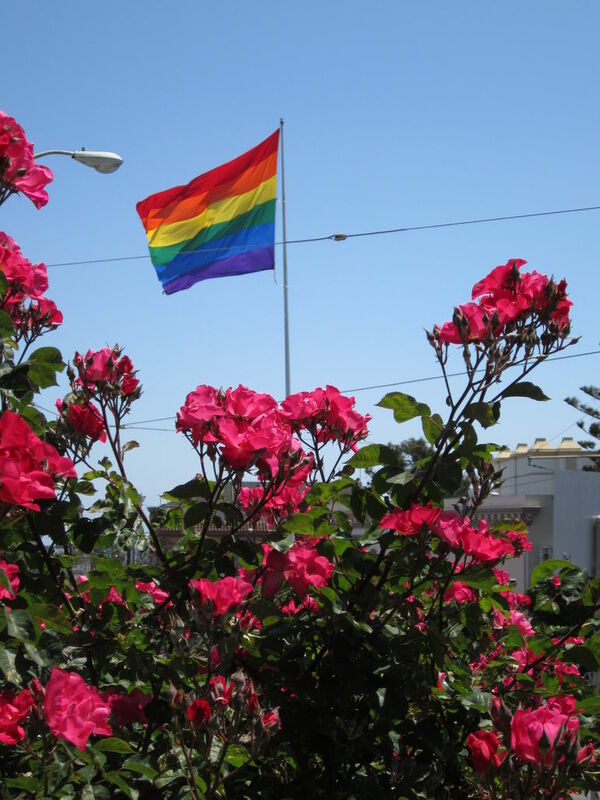 The lively Castro District is an area that caters to the largely gay and lesbian population. 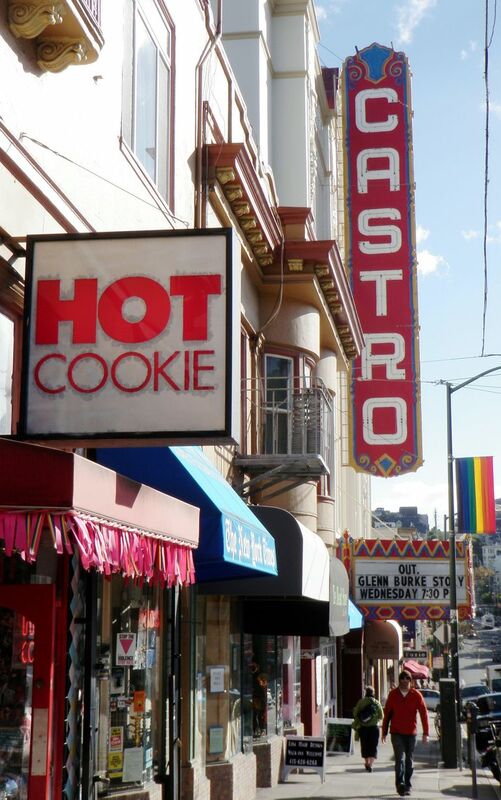 This neighborhood, marked by the Castro Theatre marquee, has become a symbol of gay and lesbian pride throughout the world. 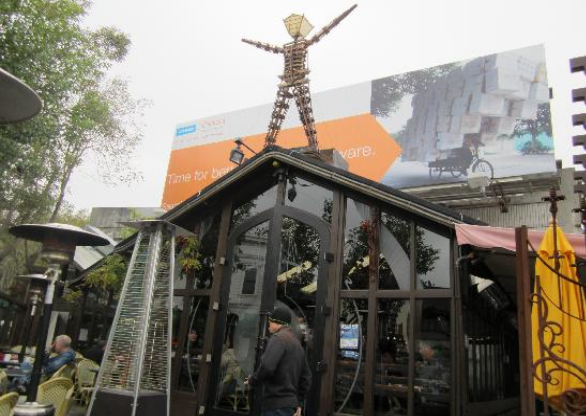 We had dinner at Cafe Flore. 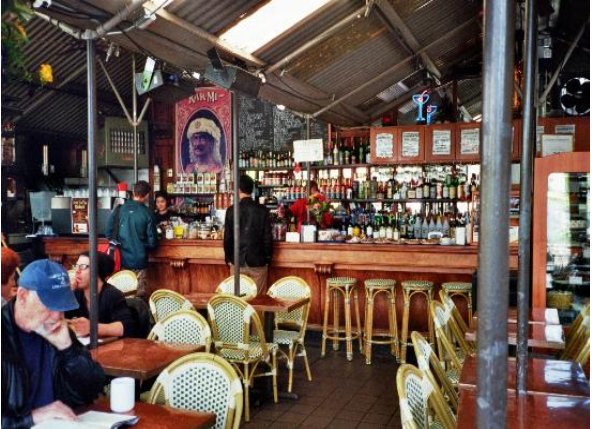 The Cafe has been the heart & soul of Castro since 1973. The house made beer battered onion rings were wonderful!!! Steve had a charbroiled grass fed beef from the Niman Ranch hamburgers. I had the flank steak salad. It was made with grilled Niman Ranch beef, organic mixed greens, fruit, Gorgonzola, candied pistachios, tomatoes and balsamic gastrique. It was a wonderful meal.